Travelling with your kids by motorcycle through foreign countries could be one of the best bonding agents and the Adventure Trio, Jack, Terry and Sandy Borden, are doing just that. Life is not always easy for them on the road, in fact they clearly say that it's not all roses, but in the end the scale is heavily weighted to the positive side for life experience, family bonding and pure adventure. he Bordens talk about what caused them to hit the road and what is was like preparing for and ultimately living on the road. Alex Chacon is well known for his amazing videos, especially the selfie video that may have sparked the selfie video craze, and on this episode Alex talks more about video and getting your video seen by millions. Posted on July 16, 2015 by Adventure Rider Radio Motorcycle Podcast & Radio Show and filed under Adventure, Women Motorcycle Riders and tagged family adventure travel extended Borden Sandy Jack Terry moto motorcycle motorbike two-up 2015-A. Linda Bootherstone-Bick has travelled the world by motorcycle for over fifty years and continues to ride. For her upcoming seventieth birthday she is planning to ride South America and be with friends playing her music. On this episode Linda talks about what a lifetime of motorbike travel feels like to her. Linda has never lived a "normal" life as such so she may be the most seasoned moto-traveller you'll ever hear. Posted on July 9, 2015 by Adventure Rider Radio Motorcycle Podcast & Radio Show and filed under Authors, Adventure, Women Motorcycle Riders and tagged adventure rider author world travel explore 2015-A. 51: Adventure Rider Radio is ONE Year Old! Adventure Rider Radio turns one year old and looks back ongoing fron zero listeners in June 2014 to around 30,000 downloads each month and rising. ADV stars likme Ted Simon, Sam Manicom, Grant Johnson, Rene Cormier and many more. Posted on June 25, 2015 by Adventure Rider Radio Motorcycle Podcast & Radio Show and filed under Adventure, Travel, Tech Tips and tagged Motortourer motorcycle adventure year birthday 2015-A. Ara & his rescue dog, Spirit, have been camping and living full time on the road for the last 10 years in North America, following the good weather and the sights Mother Nature provides. Posted on June 18, 2015 by Adventure Rider Radio Motorcycle Podcast & Radio Show and filed under Adventure, Authors, Travel and tagged dog motorcycle ride ara spirit leash travel 2015-A. Elisa Wirkala has done a fair bit of motorcycle adventure travel. On this episode Elisa talks about frugal travel on small displacement bikes in South America. Posted on June 4, 2015 by Adventure Rider Radio Motorcycle Podcast & Radio Show and filed under Travel, Adventure, Women Motorcycle Riders and tagged autism Africa South America motorcycle 2015-A Elisa Wirkala Melanie Cowpland small displacement arr rtw adv motorbike moto rider biker adventure travel overland podcast motorcycle podcast. Peru may be the ultimate adventure motorcycling destination. Alberto Lara and Naomi Tweddle share their travel experience about Peru. 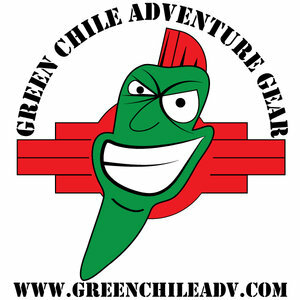 Posted on May 28, 2015 by Adventure Rider Radio Motorcycle Podcast & Radio Show and filed under Adventure, Motorcycle, Travel, Destination Feature, Women Motorcycle Riders and tagged peru destination travel motorcycle south america Alberto Lara Naomi Tweedle 2015-A moto motorbike adventure overland arr adv rtw jim martin motorcycle podcast podcast. Sam travelled 13,000 miles, just shy of 21,000 Kilometres from London England to Beijing China with 14 other riders ona GlobeBusters Expedition to study the eefects of fatigue on the body of motorcyclists doing long distance travel. Is coffee effective at combating fatigue? How long before you need to stop for a break? Does riding make us fat? Posted on May 14, 2015 by Adventure Rider Radio Motorcycle Podcast & Radio Show and filed under Tech Tips and tagged Samuele Marcora rider fatigue soldiers motorcyclists sleepy effects long distant riding 2015-A. Off road racer and riding instructor from Off-Road Skills in the UK talks about his world class BMW adventure motorcycle rider training school. Posted on April 16, 2015 by Adventure Rider Radio Motorcycle Podcast & Radio Show and filed under Tech Tips, Training and tagged school offroad training interview altrider simon pavey offroad skills 2015-A. We look at off-road riding schools beginning with PSSOR this week. Do you really need lessons to ride your adventure bike off road or can you learn through the school of hard knocks. After-all isn't that how the pros learned? Posted on April 9, 2015 by Adventure Rider Radio Motorcycle Podcast & Radio Show and filed under Adventure, Rider Skills, Training and tagged training school adventure riding lessons pssor 2015-A rider skills bret tkacs motorcycle motorbike moto biker rider adv arr jim martin motorcycle podcast podcast adventure rider travel motorcycle documentary road trip. On this episode Carla talks about her book and motorcycle adventures in general. Posted on March 26, 2015 by Adventure Rider Radio Motorcycle Podcast & Radio Show and filed under Authors, Adventure, Women Motorcycle Riders and tagged adevnture ural russia germany bmw carla king american borders 2015-A.